The inclusion of these seven new agents brings the cumulative total up to 248 listings. A listing indicates a cancer hazard, but does not by itself imply the substance or virus will cause cancer, the HHS said. Strikingly, it seems that different tissues of the body display different hallmarks of smoking damage, underlining once again just how devastating smoking can be. People who smoke a pack of cigarettes each day for a year develop on average 150 extra mutations in every lung cell, and nearly 100 more mutations than usual in each cell of the voice box, researchers found. More still build up in the mouth, bladder, liver and other organs. This study analyzed over 5,000 tumors, comparing cancers from smokers with those from people who had never smoked. The proposal, if adopted at the conference of the Framework Convention on Tobacco Control (FCTC) in India, could restrict delegations sent by countries like China and Vietnam, where governments own cigarette companies and have in the past sent representatives linked to the industry. “The trend over the last decade is showing no signs of slowing down, and this worrying news is something that could have been prevented with more government action." The figures come after Theresa May’s government was criticised for watering down the childhood obesity strategy that her predecessor, David Cameron, intended to publish. The duration of progression-free survival was longer in all preplanned patient subgroups receiving ribociclib, including those with newly diagnosed or pretreated metastatic disease and those with or without liver or lung metastases. Many anti-cancer drugs bind readily to metal ions, including those of copper, manganese and zirconium. That interested Dr de Rosales and Dr Gabizon, because these three elements all have radioactive isotopes that release a particle called a positron as part of their decay. Sanofi: failed to report on 65.5% of the trials it sponsored--285 trials missing out of 435. Goldacre and his Oxford-based co-author Anna Powell-Smith developed the tool to search the ClinicalTrials.gov database for trials that were completed at least two years ago. The computer then attempted to match those trials with results published in that database or in the research repository PubMed. We have designed, built, and launched an easily accessible online service, the TrialsTracker, that identifies sponsors who have failed in their duty to make results of clinical trials available, and which can be maintained at low cost. Sponsors who wish to improve their performance metrics in this tool can do so by publishing the results of their trials. Celyad says Cellectis CEO André Choulika claimed at a shareholders meeting a few days ago that claim 1 to their Patent N° 9,181,527 was invalidated by the US patent office, which they say is “false and misleading.” But Cellectis isn’t backing away quietly from this fight. Genentech will provide funding to support several research projects of $1 to $3 million each over a three-year grant term. Applications will be evaluated by a subcommittee of the SU2C Catalyst Executive Committee. Basel, Switzerland-based NBE is currently wrapping up lead optimization and characterization work on its two lead programs, the targets of which remain a secret. One of the ADCs is aimed at multiple myeloma; the other is being looked at in leukemia, triple-negative breast cancer and lung cancer. Bristol-Myers Squibb has announced that their immunotherapy drug, Opdivo (nivolumab), will be made available to patients in the UK through the Early Access to Medicines Scheme (EAMS) by the Medicines Healthcare Products and Regulatory Agency (MHRA). The drug will be made available to patients suffering from relapsed or refractory classical Hodgkin lymphoma (cHL) as a monotherapy after autologous stem cell transplant and treatment with brentuximab vedotin. Trillium’s early data is particularly disappointing, because there’s been an upsurge in interest in the target it’s been chasing — a protein called CD47 that Stanford researchers have found proliferating on the surface of tumor cells. Today is the big drop for ASH abstracts, and Spark isn’t the only biotech company to be damaged in the response to some of the safety warnings or weak results to hit the biotech circuit on Twitter. New data with JCAR017 in adult patients with relapsed/refractory diffuse large B-cell lymphoma (DLBCL), which is a subtype of NHL, and final data from the PLAT-02 trial for pediatric patients with relapsed/refractory acute lymphoblastic leukemia (ALL) will be presented. Oral Presentation on Phase 3 ALCANZA Trial in CD30-Expressing Cutaneous T-Cell Lymphoma. In an oral presentation, the Company will report preclinical data demonstrating the activity of IMGN632 in multiple acute myeloid leukemia (AML) models and patient samples at concentrations far below levels that affect normal bone marrow cells, suggesting the potential for efficacy in AML patients in the absence of or with limited myelosuppression. 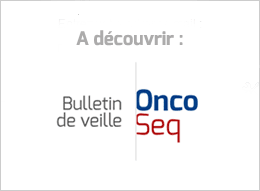 First disclosure of preliminary results from Phase 1/2 study of Opdivo in combination with ADCETRIS (brentuximab vedotin) in patients with relapsed or refractory classical Hodgkin lymphoma. Oral Presentation of Clinical Data from First Fully Human Anti-CD19 Chimeric Antigen Receptor (huCAR-19) Investigational Cell Therapy to Enter Clinical Study. Demonstrating Expertise and Leadership in Hematologic Oncology, Presentations Include Phase 3 Data on ADCETRIS® (brentuximab vedotin) in CD30-Positive Cutaneous T-Cell Lymphoma, NINLARO™ (ixazomib) in Relapsed/Refractory Multiple Myeloma and Emerging Pipeline. New results from the phase III GALLIUM study which compared Gazyva/Gazyvaro (obinutuzumab) plus chemotherapy to Rituxan/ MabThera (rituximab) plus chemotherapy in previously untreated follicular lymphoma will be presented in the Plenary Scientific Session. Women with ovarian cancer are told repeatedly that we must find a specialist. Yet in many areas of the country, it is impossible. Randomness appears to play the predominant role in determining which of a scientist’s papers get cited the most, concludes a study out today in Science. We’ve previously reported on two retractions of papers co-authored by Bhagavathi Narayanan and Narayanan K. Narayanan, previously based at the New York University (NYU) School of Medicine. When the government launched the Cancer Genome Atlas, it spent $100 million to get data from 50,000 people. Of that, data from 24,000 people was unusable, he said. Each company has what the other one lacks. Flatiron, based in New York, is in the medical records business and says it has signed up more than 250 cancer clinics around the country. It is privately held, has 350 employees, and has raised more than $300 million in venture capital. Cambridge, MA-based Foundation has a tumor sequencing business.